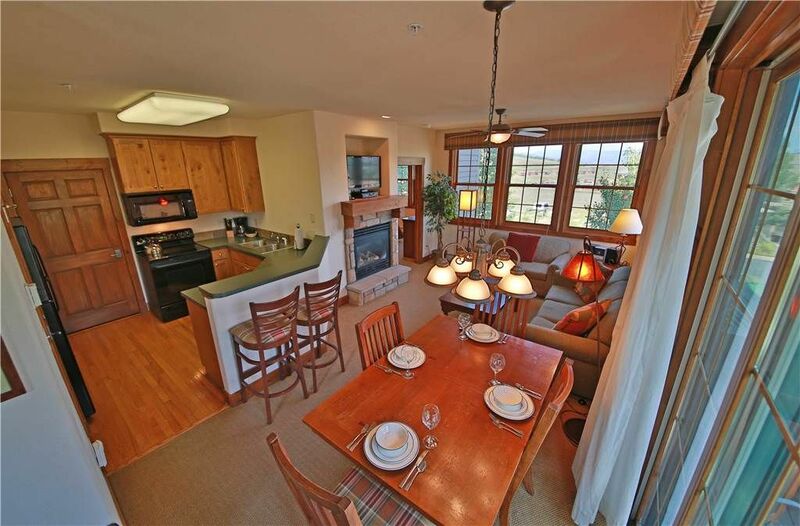 Get the mountain getaway you are looking for in this nicely decorated two bedroom condo. Close to hiking, biking, skiing, snowboarding, and more, you are sure to find something to do for all seasons! BEDS: Queen in Master, two Twin Beds in second bedroom and Queen Sofa Sleeper in Living Room; UNIT FEATURES: TV w/VCR Player, Washer/Dryer, Full Kitchen, In-Room Internet). Kicking Horse Lodges are centrally located in Grand County and is an ideal launching point for all the recreational activities in our area, with close access to Ski Granby Ranch, Bike Granby Ranch, and Golf Granby Ranch. Winter Park Ski Area, Rocky Mountain National Park, Hot Sulphur Springs, Lake Granby and Arapaho National Forest are all within a 30 minute drive. Enjoy ski-in/ski-out access when snow conditions permit and the Kicking Horse Lift is running. When the chairlift is not running, this condo is still only minutes away from the Granby Ranch main lift.